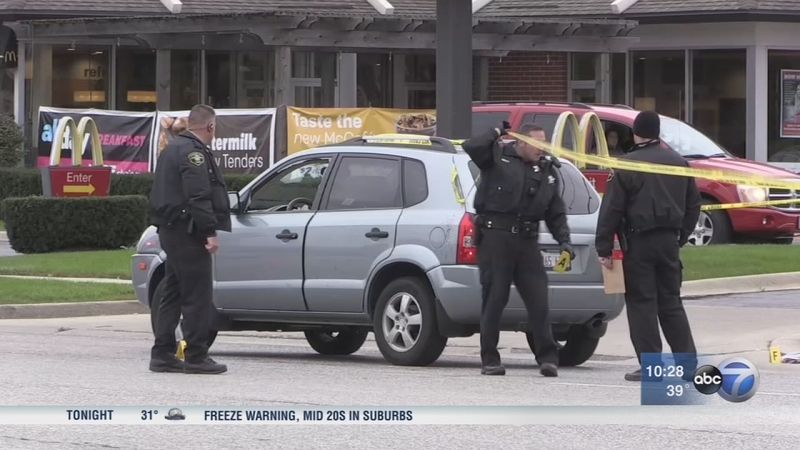 ELMHURST, Ill. -- Several people of interest have been taken into custody in connection with the road rage shooting of a 65-year-old man after a crash Saturday afternoon in west suburban Elmhurst. Officers responded to the crash about 2:13 p.m. near York Road and Diversey Avenue and found the man shot in the face, according to a spokeswoman for Elmhurst police. He was taken to Elmhurst Hospital by paramedics in serious condition, police said. The man's wife was with him in the car, but she wasn't injured. Investigators believe the shooting and crash were related to an incident of road rage, police said. People in a vehicle traveling south on York were believed to have shot the man. A handgun was recovered, and video surveillance from business on Grand Avenue and businesses in the area of York Road and Grand Avenue were being reviewed, police said. "Several people of interest" were in custody Sunday as police continued to investigate. Anyone with information was asked to call authorities at (630) 530-3050.